Mercedes-Benz has extensively revised the CLS Coupé and CLS Shooting Brake as part of the facelift. The design of the new generation of CLS Coupé and CLS Shooting Brake presents a more dynamic face than ever thanks to the latest facelift. The main focus of the front section is without doubt the expressive diamond radiator grille, which sports the centrally placed Mercedes star. Acting like a supporting foundation directly below it is the front apron with its powerfully sweeping lines. Serving as a three-dimensional air deflector, the distinctive form of the front apron is perfectly matched to the body. 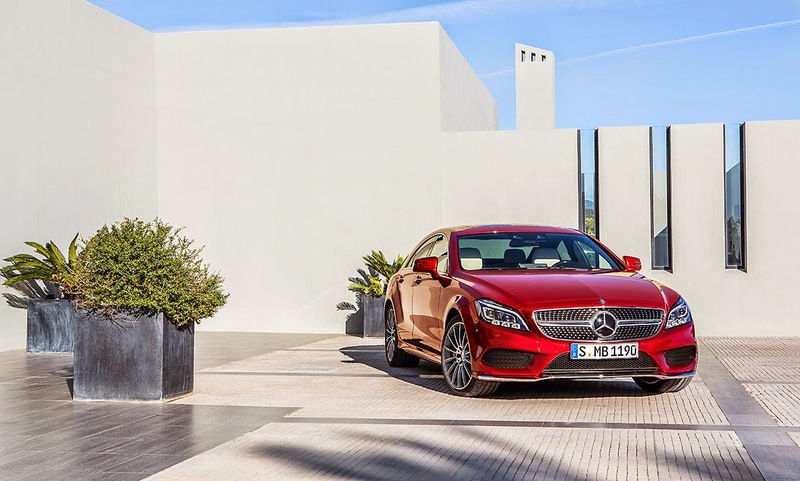 The so-called "A-wing" on the AMG models of the CLS is given an even slightly more distinctive emphasis. The high-gloss paintwork on the cooling air grilles results in an especially classy look. Separate from the A-wing, the front splitter also makes the vehicle appear closer to the road. When Mercedes-Benz created the four-door coupé segment 10 years ago with the CLS, this represented a ground-breaking milestone in terms of automotive design. From that moment on, both the CLS Coupé and CLS Shooting Brake have established themselves as style icons with a special appeal while at the same time being continuously further developed and improved. The latest reworking of both vehicles' avant-garde design lends an attractively fresh look to the at once dynamic and clear, sensual lines while giving expression to modern luxury. This ensures that the CLS will continue in future to be the trendsetter in its segment. The passenger compartment exudes a classy and exclusive air. Evident in every detail, high build quality is the hallmark of the stylish interior of the CLS family. The perfect workmanship is made palpable for the driver by the perforated grip area of the multifunction steering wheel with its nappa leather padding. With its tailgate open, the CLS Shooting Brake reveals its inner qualities. With a loading volume of up to 1550 litres, the unique vehicle concept brooks no compromises. The luggage space comes as standard with high-quality carpeting that can be optionally augmented by two specially designed aluminium loading rails. Even a higher level of uniqueness is afforded by the designo load compartment floor in American cherry wood. It extravagantly underscores the hand-built character of the interior while lending a stylish emphasis to the generous proportions of spaciousness. Superior aesthetic individuality is available with the optional designo programme with its customised optimisation possibilities. The MULTIBEAM LED light system also brings a new dimension to the design of the front section. The progressive design of luminous exterior elements is always a striking highlight as well as a distinctive badge of identity in terms of automotive design. Especially at night, the headlamps are an unmistakable feature of the new CLS, with the LEDs turning a conventional light into an illuminating presence. Yet as safety is always an aspect to headlamps, there is a need to find a perfect combination of extravagant design and state-of-the-art technology. automatically bring exceptionally bright illumination to the road surface and verges with previously unattained, accurately controlled light distribution without dazzling other road users.